2017 has been a good but very up & down season for me. I’m thankful for the success I’ve had but I do regret getting caught up in the moment and pushing some shots that I shouldn’t have taken. 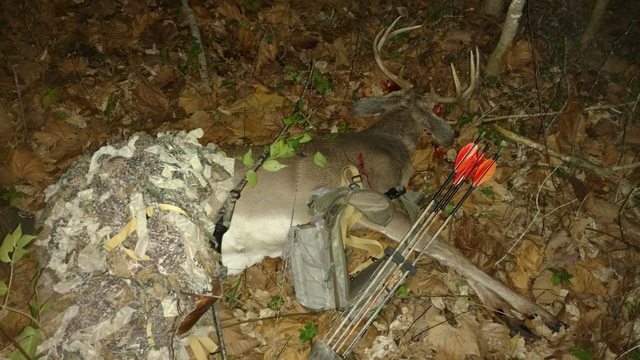 Even after 40 plus years of bowhunting, there are times nerves and anxiousness can cloud a hunter’s judgement. But I guess the excitement and nerve racking experiences is a big part that keeps me hunting. 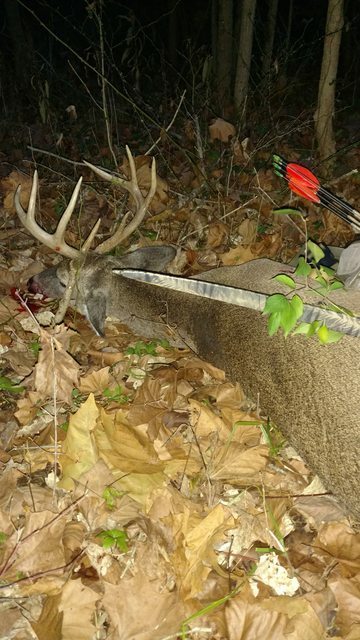 I took my Indiana buck from the ground using a ghillie suit at about 6yds in November and my Illinois buck from a treestand at about 5yds in December. No monster bucks but good enough for me. Have also filled one doe tag and working on a couple more. Wishing everyone a Happy New Year, hang in there on those tough years, eventually one will walk into the path of your arrow! "ghillie suit at about 6yds" that sounds exciting! I've always wanted to try one of those. Congrats on a fine season. Well done, good enough for me also. If you think you can or think you can't-you're right. You’re a lucky man to have so many opportunities. Nice !!! 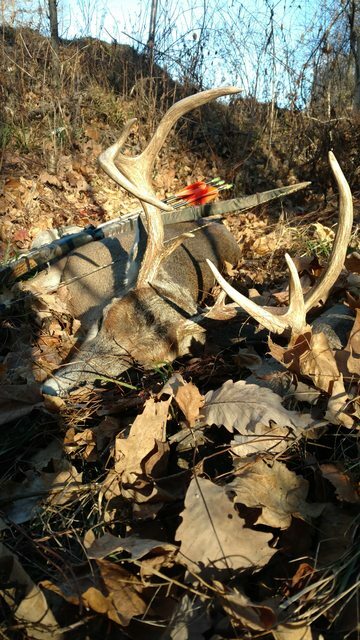 We love Indiana bucks !! !